In the not so distant past, explaining how to login to Google Apps was a painfully tedious process. The URL for your domain would be different - and explaining the difference was frequently a nuisance, in the login sequence instructions. When explaining how to login to a recently created limited access Apps account, I would focus on the account reset process. Again, your URLs would differ. Maintaining separate bookmarks, for each different domain, was a time sink. With the new Google Apps integrated account login, all of that has changed. If possible, use two browsers - one browser for Blogger and other Google activity like GMail, and the second for the Google Apps session. For best results, first clear cache, cookies and sessions (yes, all 3! ), and restart the second browser. To reset login to the limited access Google Apps account for this domain, you simply go to the standard Google login screen, using the second browser. You then click on "Need help?". 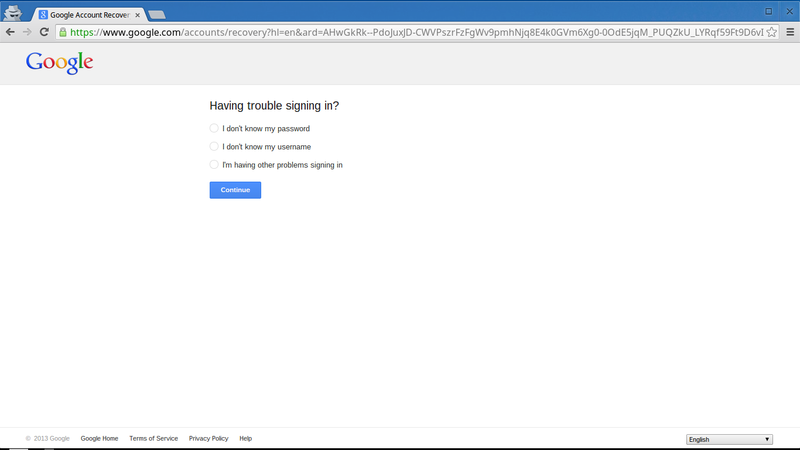 On the next screen, select "I don't know my password", and enter the limited access Google Apps account name, for your domain. For my domain, if it had been purchased after November 2012, the default account name would be the limited access "bloggeradmin@nitecruzr.net". Yours will be "bloggeradmin@yourdomainURL" - whatever "yourdomainURL" actually is. Domains purchased before December 2012 will apparently still use a Google Apps token sent in email or linked from Google Wallet. Enter the appropriate account name, click "Continue", and follow instructions. Select "I don't know my password". 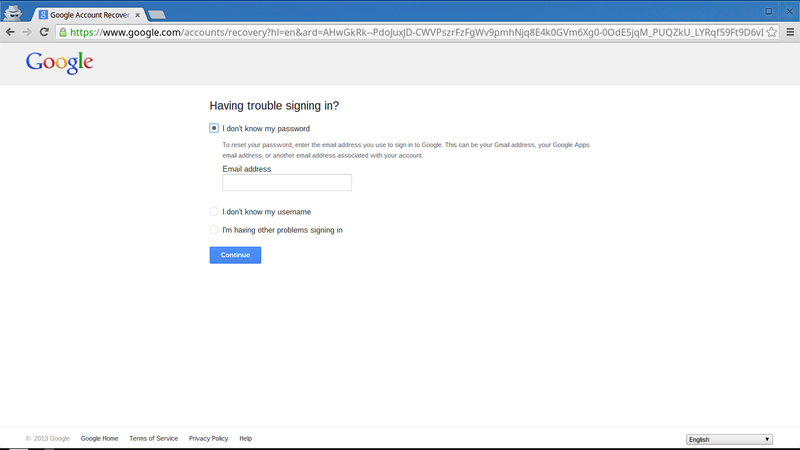 Enter your limited access Google Apps account name. 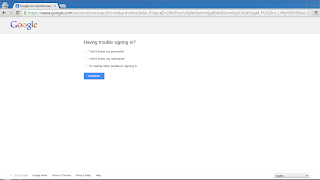 After you submit the password reset request, Google will send a password reset email message, to the backup email account associated with the domain. The email account, for a new Apps account, should be the email account used by the Blogger account, under which you purchased the domain. The only problem which you can have is if the necessary email account can't be accessed. Being overly secretive, and basing the Blogger account on a bogus or inactive email address. Having the Blogger / Google account deleted for abusive practice. Never bothering to remember the email account and password. In either case, without access to the right email account, you won't be able to reset the Google Apps account password - and you won't be able to gain / regain access to your Google Apps domain administrator account, aka the "Admin Console", for the domain in question. Other than that one possible problem, it should be a straightforward process. 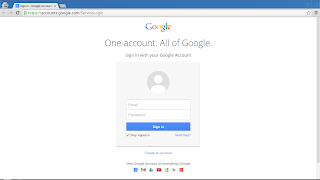 Access the new Google Login screen. Access the right email account. Open, and execute the password reset email. Once you're in the Admin Console, you can check / set the auto renewal option setting, or you can retrieve the login instructions to access the registrar's zone editor - or do whatever else you need to do. If you're logging into Apps for a second time, and you remember the account name and password, it's simpler still. 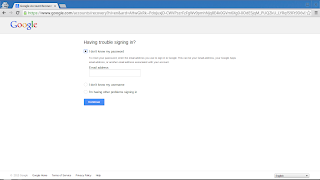 Access the new Google Login screen, enter the domain administrator account name and password, and login. Now, Google Apps is just one more Google application - but with its own unique account name. If you remember the domain admin account name and password from last time, just login - and you're there. Again, always open Google Apps in a second browser. Other than the need to use a second browser, logging into Google Apps is now a series of bookmarks and simple scripts. In some cases, you may not be able to use the limited option account reset sequence. Don't panic! Google also provides an expanded option administrative account reset process, for these situations! As an alternative, try Google Help: Domain Registration through Blogger. If you bought the domain a few years ago, you'll need the Google Apps access token, found in the Google Apps email - or the Google Wallet transaction - from when you bought the domain. So.. I also ignored (i.e., deleted/lost) the fateful email from google-apps the day I bought my domain and now my email address associated with my domain has been long deleted, i.e., same problem as biffy, above. My domain is set to expire on December 26th.. am I SOL? Check your Google Wallet for the domain purchase. Is A Sitemap Useful, For A Blogger Blog?